Experience the beauty of freediving at our Los Cabos SSI & PADI Freediving training center. 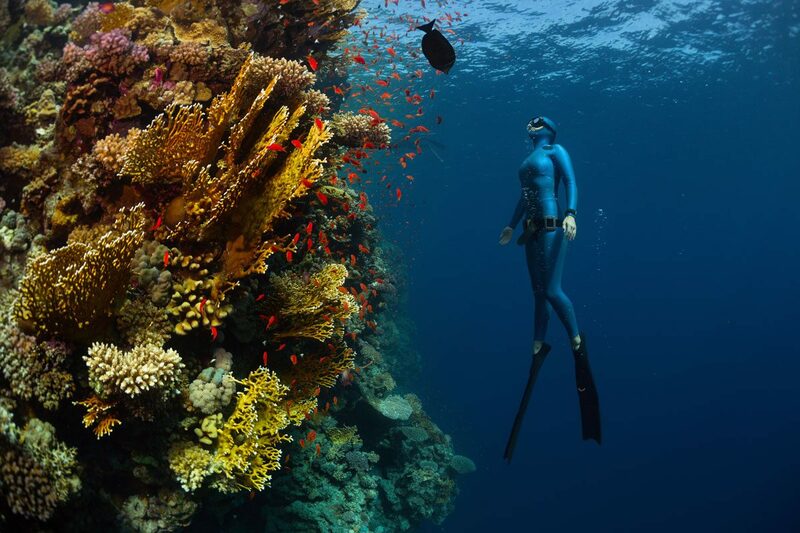 Freediving is considered by many to be the purest form of diving. Imagine feeling weightless and completely relaxed. No heavy equipment on your back, no loud bubbles – just you, the ocean, and its beautiful silence. As you sink beneath the waves you become one with the water, and begin to absorb the vast beauty around you. The stress of the world above drips away as fish curiously flutter around taking you in as one of their own. This is freediving. Our freediving programs in Cabo San Lucas are unique and aim to create safe, confident freedivers. 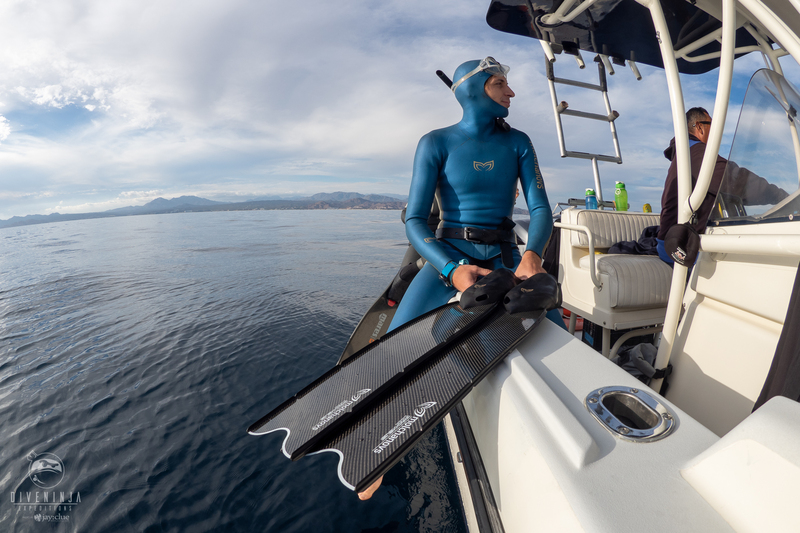 Our program has been meticulously crafted with help from our close friends at Amancay Freediving – one of the top freediving schools in North America. Our courses are designed to give you more time to practice and are all taught at a maximum ratio of 2 students to 1 instructor – so you receive the personalized attention you deserve as you embark on this journey. Our freediving instructors are knowledgeable, patient, and passionate about teaching & preserving our oceans. They make up a fundamental part of Team Ninja. 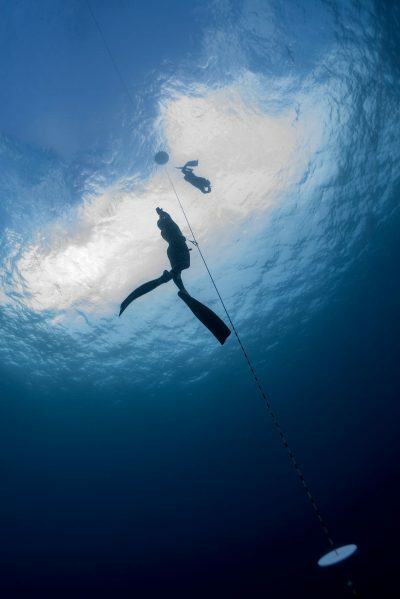 Below you’ll find our Cabo San Lucas freediving courses. They make a great addition to any of our expeditions as they will help you feel more comfortable and confident in the water. We offer both PADI and SSI courses. Give us a shout if you’d like to speak with one of our instructors or have any questions so we can start planning your next freediving adventure in beautiful Los Cabos. 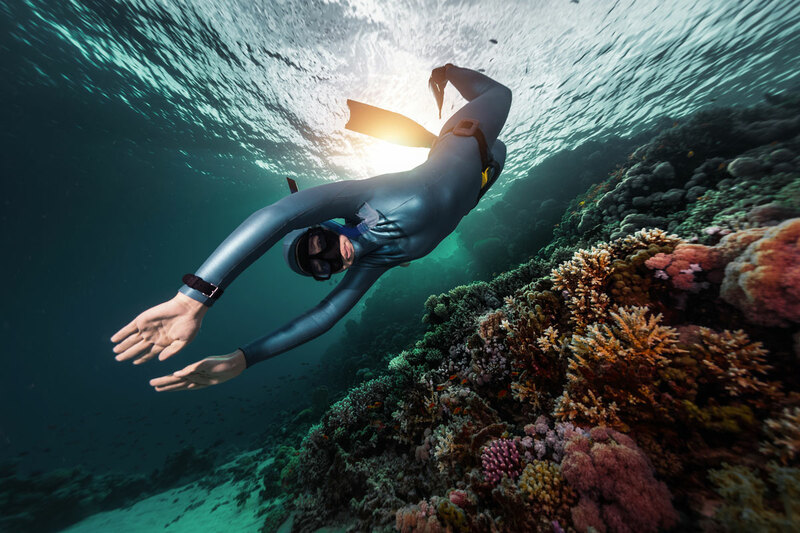 This course is ideal for those who are curious about freediving and would like to take a short introductory course before deciding if they would like to move on to the SSI Level 1 or PADI Freediver certification. It’s a great first step for developing solid freediving skills. You will learn basic freediving principles, relaxation techniques, and focus on practicing breathhold techniques, & static apnea in a pool or confined water site. Includes: Everything. Choice of PADI or SSI course, eLearning program/manual, rental equipment, and certification. Prerequisites: 12+ years old & know how to swim. No prior experience with snorkeling or freediving is required. 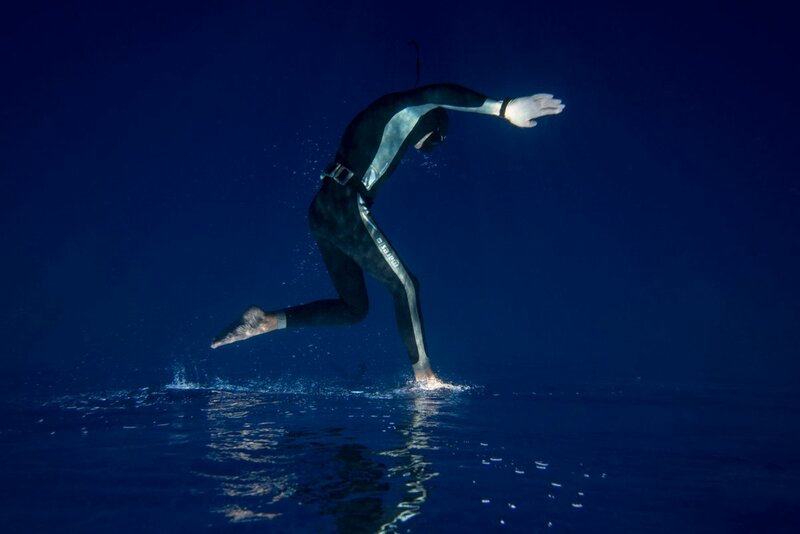 Freediving is about inward power, discipline and control. 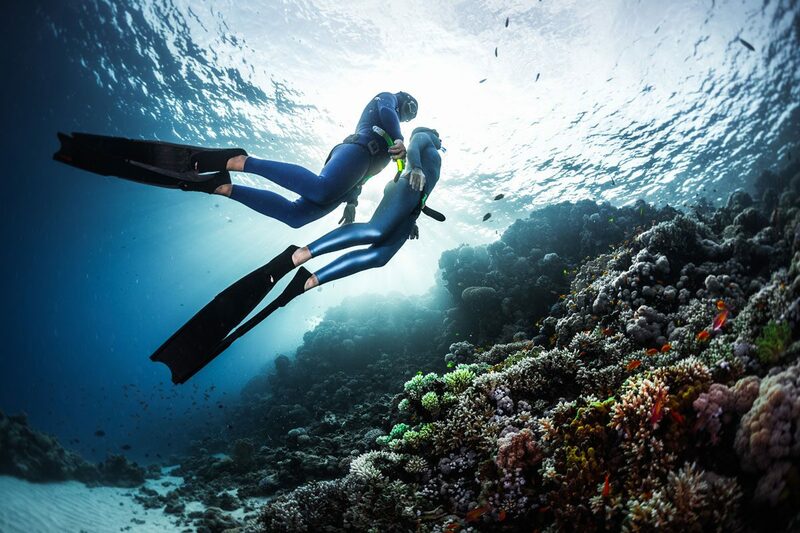 It allows you to truly connect with the underwater world and all of its beautiful inhabitants unlike any other form of diving. Imagine quietly slipping below the surface, on your own terms, staying as long as your breath allows and exploring beneath the waves. 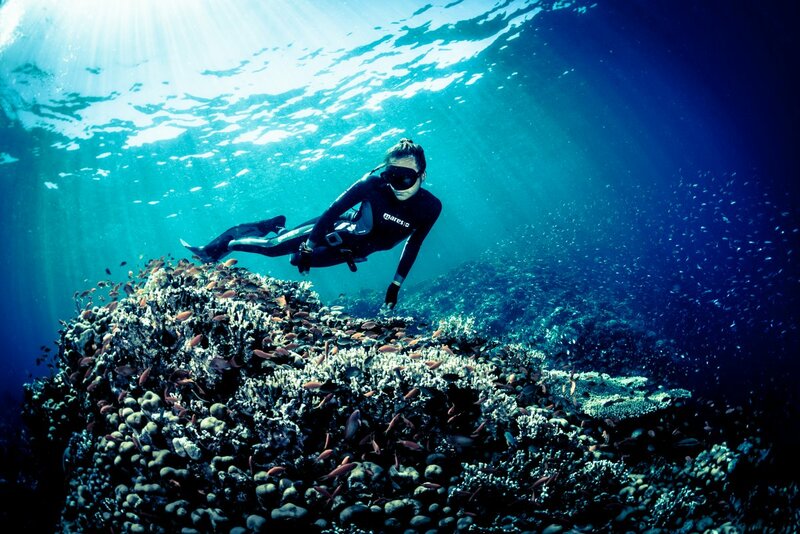 This course is your first step into freediving in open water environments such as the ocean. It will introduce you to the physiology of freediving, breathing techniques, relaxation & stretching, equalization techniques, freediving equipment, and more. 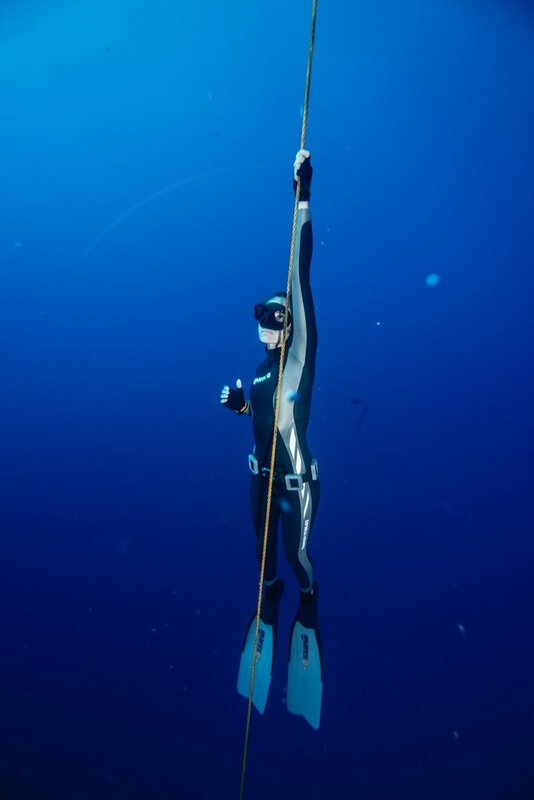 You’ll practice 4 disciplines of freediving: Static, Dynamic, Free Immersion, and Constant Weight freediving, as well as rescue techniques and how to safely freedive with a buddy in open water environments. Achieving a new freediving personal best or reaching a new depth is an incredible feeling. It ignites that very personal desire to do your best and be proud of what you can accomplish when you work hard. 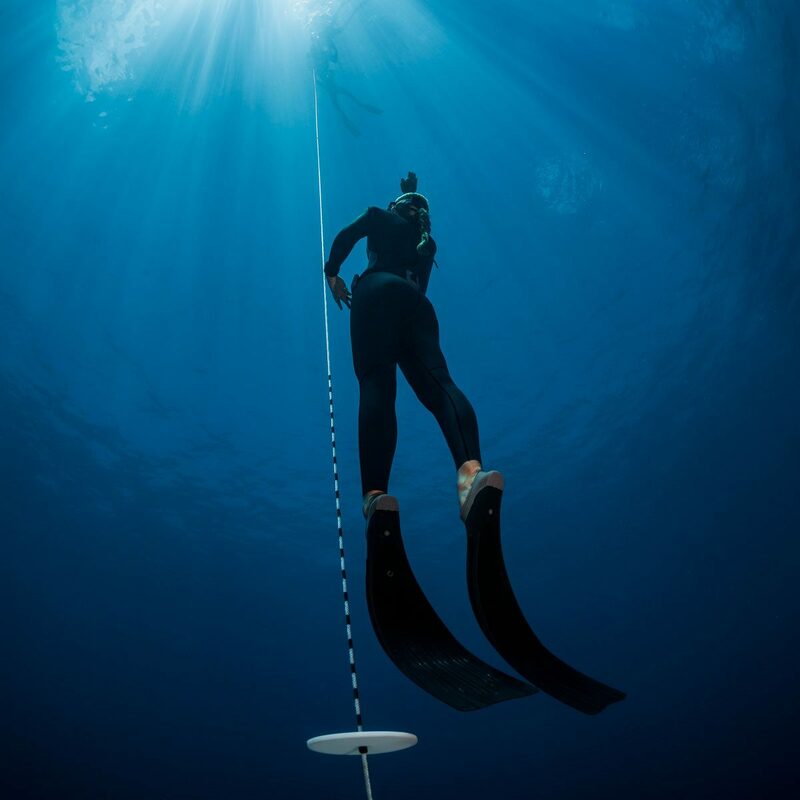 This course is designed to help you refine and improve your freediving skills, allowing you to progress slowly while learning how your body performs during apnea. 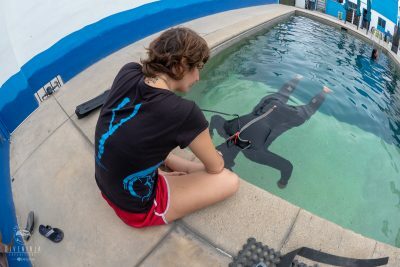 You’ll learn more advanced breathing techniques, advanced physiology, Frenzel equalization, the effects of depth and pressure on freedivers, stretching & relaxation techniques, safety procedures & rescue skills, and freefall, all while perfecting your technique through in water practice in both the pool and ocean. Prerequisites: 15+ years old & be certified as either SSI Level 1 or PADI Freediver. We all love diving on the line perfecting our technique or pushing for a new personal best. But that doesn’t mean we also don’t love to get out and have fun. At Dive Ninjas, we want to take you off the line to experience the beautiful waters around Cabo San Lucas & Baja California. Below you’ll find a few of our freediving tours & day trips, but make sure to also check out our dive expeditions page for some of the best experiences Baja has to offer – Striped Marlin, Mako Sharks, Blue Sharks, Mobula ray migrations, whale sharks, sea lions, whales, and so much more! Oasis Day Trip: Imagine arriving at a traditional Baja ranch in the middle of nowhere and taking a short walk out to a small desert oasis hidden in a canyon at the foot of rocky desert mountains. Connect with nature as you begin with a relaxation and stretching session at the waters edge before getting in to freedive under a small waterfall in this secret little oasis. After you’ll make a stop for lunch and visit a natural hot spring in the mountains to let the warm waters ease your mind and body. Duration: 8hrs Cost: $170 USD Includes lunch, water, ninja guide, weights, and snacks. Reef Half Day tour: Head out with your ninja freediving guide to visit some of Cabos gorgeous beaches. Start off the day with a relaxation session on a quiet beach before getting into the water to check out the local marine life and reef. Duration: 5hrs Cost: $100 USD Includes lunch, water, ninja guide, weights, and snacks. Already certified and just looking to brush up on your skills? Or maybe you’re looking to perfect a specific technique? Or maybe you just want to get wet and have some fun! Give us a shout, our freediving ninjas in Cabo San Lucas can help you build the perfect workshop or package. We offer custom built training sessions, workshops, and retreats spanning everything from breathing & equalization techniques all the way through to specialty courses like freediving photography, freediving with sharks, ocean conservation, and just about every where in between! Custom training workshops available, please contact us for details. Contact Team Ninja today! Our instructors will gladly help answer any questions you may have about our freediving programs in Los Cabos, Mexico. Just fill out this quick form and one of our ninja instructor staff will be in touch ASAP! Let us know what you're thinking. Any questions, comments, or special requests?